I have my Christmas party in a couple of weeks time and this year I’d really like to make a bit of an effort as I don’t think I have been to a Christmas party since I was pregnant with little Vinny isn’t that crazy! Obviously I won’t be able to wear anything non maternity unless it’s quite a loose or flowy fit but that doesn’t mean I haven’t got you girlies covered! I have been browsing the Internet and have found some absolute gems on the Forever Unique website these beauties would be perfect for the Christmas and New Years party season. I don’t know about you but pretty much every Christmas party I have been to I’ve ended up wearing a Black dress, I’m not usually one for colour especially if I’m not feeling my best but if you’re not going to wear colour and sparkle over Christmas when will you? I thought it would be a nice to mix things up with some nice colourful ideas on Glambeautys today as I usually pick out my favourite LBDs over this season, today’s choices are all bold, beautiful and will ensure you stand out in the crowd! Check out my favourite dresses and styles below, aren’t they all beautiful, some stunning bodycon style dresses along with ballgowns and fun flirty styles I’m obsessed with them all so much. I’d highly recommend checking out the Forever Unique dresses they are all really beautiful and there are fabulous designs and styles out there for everyone including colours to suit all too! 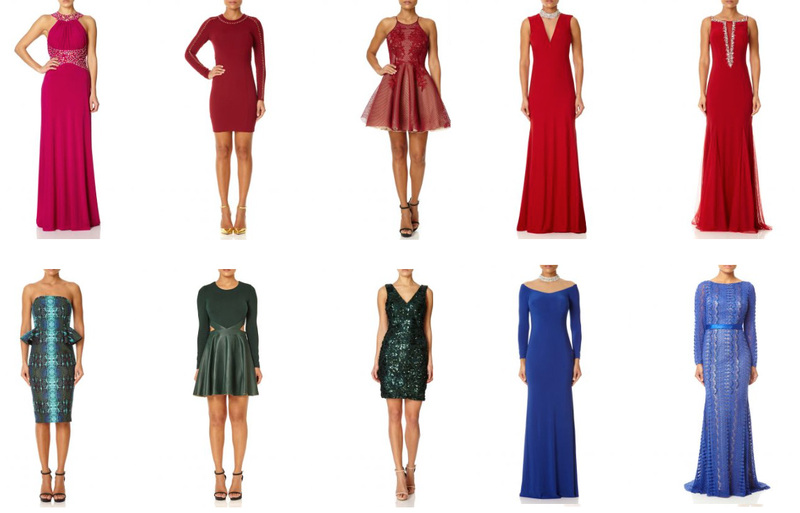 My favourite colours have to be the bright reds and festive greens, so pretty and perfect for the Christmas season and what makes it even better is that all of these dresses currently have a discount so you can save some pennies and turn up to your Christmas party looking like a million dollars! Which is your favourite dress from my top picks and do you usually go for a pop of colour when you get dressed up for the festive season? Created in collaboration with Forever Unique. Next Post Personal Style // 21 Weeks pregnant and Stripes!